L:289mm W:466mm, 207 Pcs. 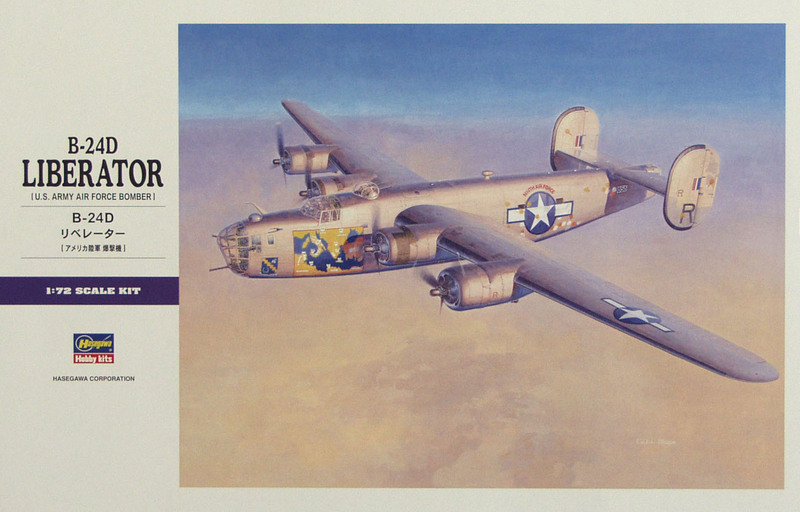 Consolidated famed WWII 4-engine heavy bomber, 1st large-scale production variant. Kit features excellent engraved surface detail, full fuselage interior from nose to waist - including bomb bay, optional position bomb bay doors, clear molded forward fuselage, twin-row radial engines and detailed undercarriage with separate weighted tires. 1000 lb BOMBS X 8, BOMB BAY OPEN OR CLOSE. MARKS: 1. USAAF 98BG 343BSQ "R The Squaw" MEDITERRANEAN SEA 1943.